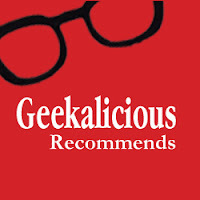 Welcome to "Geekalicious Recommends..." for February 2013. 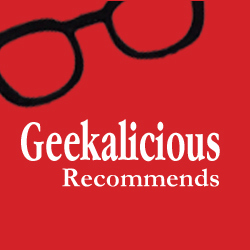 Here are my favourite geek and tech based posts that I have read this month. 'Visual' seems to be a recurring theme. Let's start this month with a bit of a funny. One of the High Tea Cast crew pointed me in the direction of the Tumblr account called POHTPOF: Pictures Of Hipsters Taking Pictures Of Food. I hold my hands up here - guilty as charged, m'lud. I even Instagrammed my Costa coffee yesterday because no-one has ever seen a picture of heart-shaped sprinkles before have they...? But it brings it home when you see how daft other people look when photographing food and drink, doesn't it? The next link was highlighted by Melinda Fargo. Initially, I wasn't too sure if this Google Glass article was a spoof or not but it seems plausible. It reviews a mobile device, developed by Google, that brings technology closer to your senses. In a week where I blogged about going "Off The Grid" it is very ironic that I've also been looking at this concept. I am planted firmly in the centre of the two worlds believing that we should find a happy medium in our digital world. Online life is very much a part of who I am and how I communicate and could never completely remove gadgets from my life but having technology so readily available next to my temple is maybe a step too far, even for me? This week saw the Oscars award ceremony. The pre-show red carpet programme has evolved into a product placement opportunity starting with the question "Who are you wearing?" but, more noticeably unrelated statements such as, "You could take a great picture of that with your [insert well known camera phone make and model here]. The way in which we watch television now, especially live events, has evolved with many people using their social media platforms to share their opinion. Social Media Today have documented the Oscars trends on the three main social media platforms in infographic format with some interesting statistics included. Finally, I spotted this image scroll past on Twitter. It appears to have been first tweeted by @utterben but has been retweeted and claimed so many times that I am unsure of its actual origin. 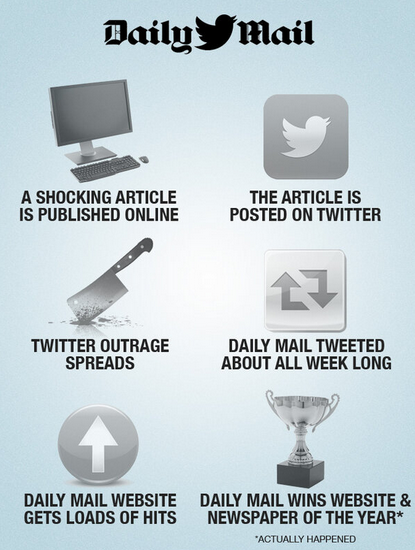 But whoever created it is spot on! I hope you have enjoyed these recommendations. If you find or write an article that you would like me to include in the next round-up please drop me an email and I'll give it a read through. I am always happy to recommend great blogs and enjoy finding new blogs to read.